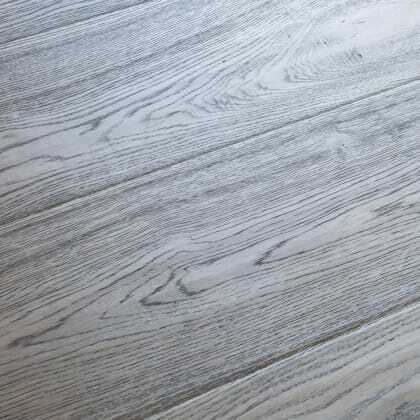 Hand-Scraped flooring is a popular choice to give your floor some more character, Distressed Hand-Scraped is a specialist type that has, even more, detailing to show more signs of wear and tear on your floor. 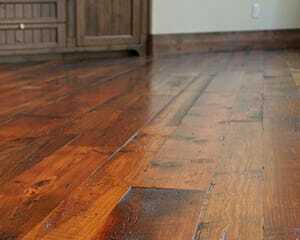 This gives the impression that the flooring is older than it is and shows even more aged character. 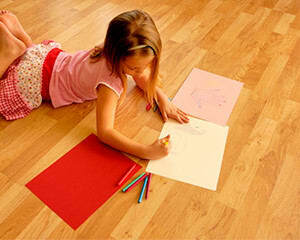 Some people don’t want their engineered floor to look brand new and feel that it can look too uniform so Distressed Engineered Wood Flooring is the ideal choice for you. Each board has been individually manually scraped by hand and then the distressed look is achieved by an expert craftsman hitting, scraping and carving each plank with a number of different specialist objects. 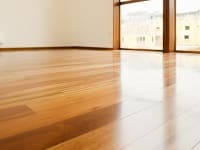 Engineered wood flooring can be a better option than solid as it cheaper, more versatile and easier to install and distressed engineered give the impression of solid real wood floors that you could find in a centuries-old house. 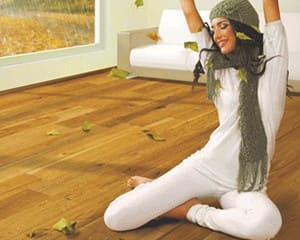 As each board is unique you cannot be certain how the product you receive will look but by ordering a free sample through our website you will get a good idea on the look and level of distress on the engineered flooring you may order. The COTS030 Antique Hickory is a very distinctive with its signature distressed finish to give a unique presence of a floor that has been in situ from a bygone along with the texture of the hand-scraped which delivers look of a floor finished to a high standard by hand in a matt lacquer. 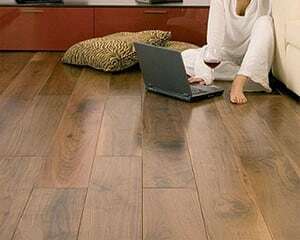 Hickory stained hardwood in a engineered structure that is handscraped to delivering a rustic feel but with a colour tint obtained when Hickory hardwood is combined with a coloured stain to create a floor that has been in situ for a while and comes with a Lifetime Structural Guarantee. 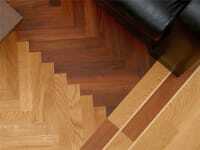 Hand-scraped Lacquered Light Stain Bevelled Mill-run Grade 3.1mm Solid Hickory Wear Layer 14mm x 127mm x RL 1.98m2 coverage per pack .. The COTS057 Antique Tuscan Stained Oiled Oak Hand Scraped Distressed is a very distinctive with its signature distressed finish to give a unique presence of a floor that has been in situ from a bygone along with the texture of the hand-scraped which delivers look of a floor finished to a high standard by hand in a oiled finish. Rustic looking Antique Tuscan stained oil, dark stain delivering deeper brown rustic engineered hardwood floor that is hand-scraped to deliver a rustic feel of a floor you would find in an old european country farm houses and comes with a Lifetime Structural Guarantee. 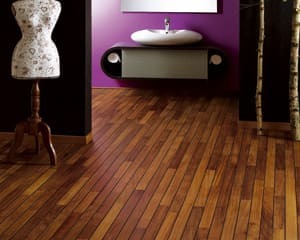 Hand Scraped Oiled Micro Bevelled Rustic Grade Stained Solid 3.8mm Oak Wear Layer 18mm x 150mm x RL 2.17m2 coverage per pack .. The COTS064 Balmoral Oak Semi Smoked Oiled Heavy Distressed Brushed, this European Oak board is a very distinctive with a signature 290mm wide plank and featured random oak wing knots finish in extreme heavy brushed semi-smoked oiled finished for great texture to give a unique presence of a floor that has been in situ from a bygone in a 22mm thick board. 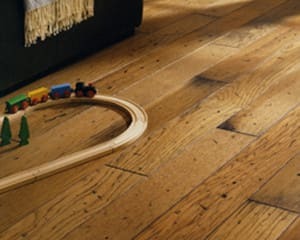 The Balmoral is Semi-Smoked in appearance with a deep brushed grain in natural oak, each individual plank is hand finished with filled knots and split boards joined with butterfly knots in an engineered hardwood to deliver a truely rustic feel of a floor you would find in a barn conversion and comes with a Lifetime Structural Guarantee. 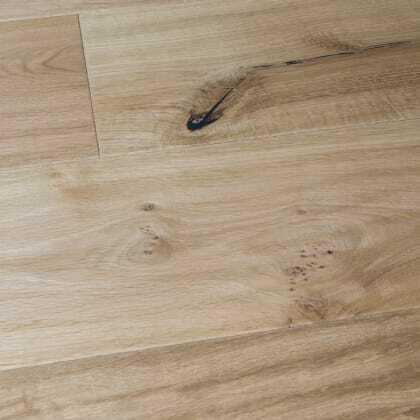 Distressed, Aged Semi-Smoked Wide-Board Brushed-Oiled Bevelled Natural Grade Solid 6mm Oak Wear Layer 22mm x 290mm x 2130mm 2.471m2 coverage per pack .. The COTS006 Big Earth Oak Handscraped Brushed UV Oiled 20mm is a very distinctive with its signature distressed and hand-scraped hand finished texture to give a unique presence of a floor that has been in situ from a bygone and finished with a UV Oil that requires little maintenance Big Earth Handscraped Influenced by old aged wood floor with an Antique Stain on a rustic engineered hardwood floor that is handscraped with dark hand-filled knots and splits to deliver a rustic feel of a floor that has been in situ for a while and look of reclaimed plank and comes with a Lifetime Structural Guarantee. 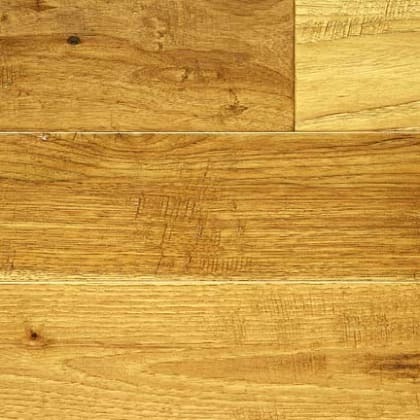 Hand-scraped Stained UV Oiled Brushed Bevelled Natural Grade Engineered 4mm Solid Oak Wear Layer 20mm x 190mm x 1900mm 2.166m2 coverage per pack .. The COTS065 Charlottenburg Oak Dark Smoked Oiled Heavy Distressed Brushed, this European Oak board is a very distinctive with a signature 290mm wide plank and featured random oak wing knots finish in extreme heavy brushed smoked oiled finished for great texture to give a unique presence of a floor that has been in situ from a bygone in a 22mm thick board. The Balmoral is Smoked in appearance with a deep brushed grain in natural oak, each individual plank is hand finished with filled knots and split boards joined with butterfly knots in an engineered hardwood to deliver a truely rustic feel of a floor you would find in a barn conversion and comes with a Lifetime Structural Guarantee. 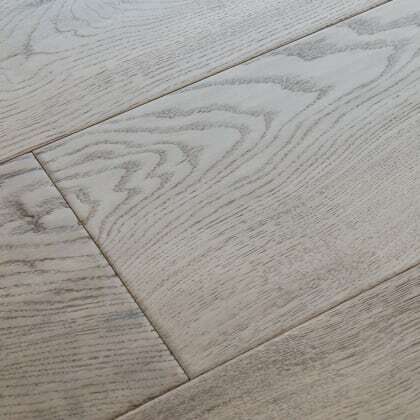 Distressed, Aged Smoked Wide-Board Brushed-Oiled Bevelled Natural Grade Solid 6mm Oak Wear Layer 22mm x 290mm x 2130mm 2.471m2 coverage per pack .. The COTS067 Furrowed Rustic Oak Hard-Waxed Oiled Hand-Scraped and Distressed, this European Oak board is a very distinctive with an extra wide 240mm plank where each plank is hand finished by skilled craftsmen using traditional hand tools to create both a hand-scraped and distressed then oiled finished for great texture to give a unique presence of a floor that has been in situ from a bygone in a 15mm thick board. 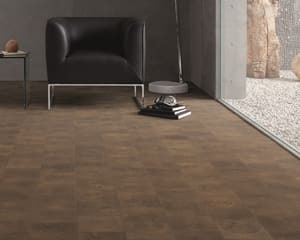 The Furrowed Oak is aged in appearance with a deep brushed grain in natural oak, each individual plank is handscraped and distressed with filled knots in an engineered hardwood to deliver a rustic feel of a floor you would find in a barn conversion and comes with a Lifetime Structural Guarantee. 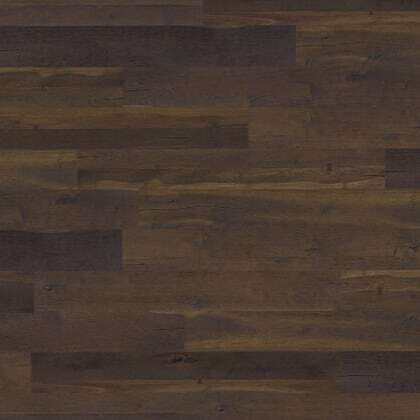 Handscraped-Distressed Wide-Board Stained Hardwax-Oiled Bevelled Rustic Grade Solid 4mm Oak Wear Layer 15mm x 240mm x 2200mm 2.64m2 coverage per pack .. The COTS007 Hickory Smoked Oak Brushed UV-Oiled 20mm is a very distinctive with its signature distressed and hand-scraped hand finished texture to give a unique presence of a floor that has been in situ from a bygone and finished with a UV Oil that requires little maintenance Hickory Handscraped is influenced by aged wood floor which is Smoked rustic engineered hardwood floor that is handscraped with dark hand-filled knots and splits to deliver a rustic feel of a floor that has been in situ for a while and comes with a Lifetime Structural Guarantee. 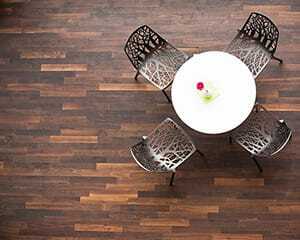 Hand-scraped Smoked Brushed Bevelled Rustic Grade UV Oiled 4mm Solid Oak Wear Layer 20mm x 190mm x 1900mm 2.166m2 coverage per pack .. The COTS069 Moorland Rustic Oak Hard-Waxed Oiled Hand-Scraped and Distressed, this European Oak board is a very distinctive with an extra wide 240mm plank where each plank is hand finished by skilled craftsmen using traditional hand tools to create both a hand-scraped and distressed then hard-waxed oiled finished for great texture to give a unique presence of a floor that has been in situ from a bygone in a 15mm thick board. 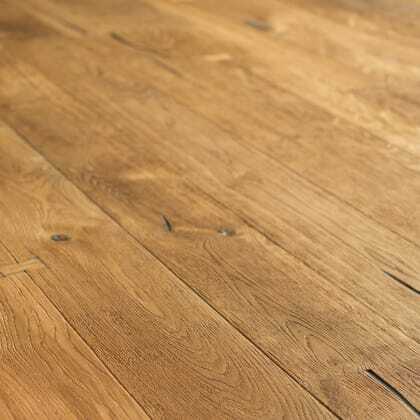 The Moorland Rustic Oak is modern in appearance with a deep brushed grain in natural oak, each individual plank is handscraped and distressed with filled knots in an engineered hardwood to deliver a rustic feel of a floor you would find in a barn conversion and comes with a Lifetime Structural Guarantee. 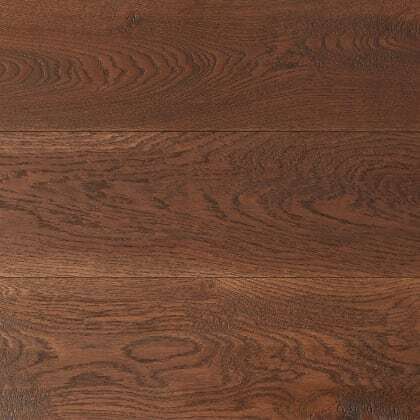 Handscraped-Distressed Wide-Board Hardwax-Oiled Stained Bevelled Rustic Grade Solid 4mm Oak Wear Layer 15mm x 240mm x 2200mm 2.64m2 coverage per pack .. The COTS008 Natural Oak Brushed UV-Oiled 20mm is a very distinctive with its signature distressed and hand-scraped hand finished texture to give a unique presence of a floor that has been in situ from a bygone and finished with a UV Oil that requires little maintenance Golden Handscraped is influenced by aged wood floor which is a naturally golden in appearance on a rustic engineered hardwood floor that is handscraped with dark hand-filled knots and splits to deliver a rustic feel of a floor that has been in situ for a while and comes with a Lifetime Structural Guarantee. 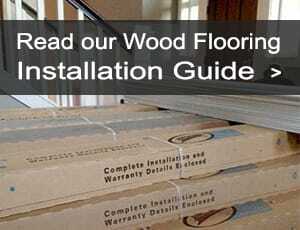 Hand-scraped Brushed Bevelled Rustic Grade UV Oiled 4mm Solid Oak Wear Layer 20mm x 190mm x 1900mm 2.166m2 coverage per pack .. The COTS066 Rustic Barley Oak Hard-Waxed Oiled Hand-Scraped and Distressed, this European Oak board is a very distinctive with an extra wide 240mm plank where each plank is hand finished by skilled craftsmen using traditional hand tools to create both a hand-scraped and distressed then hard waxed oiled finished for great texture to give a unique presence of a floor that has been in situ from a bygone in a 15mm thick board. 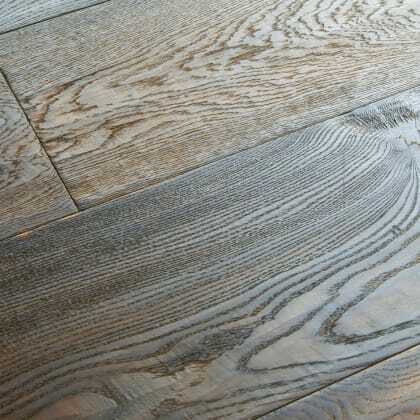 The Rustic Barley Oak is natural in appearance with a deep brushed grain in natural oak, each individual plank is handscraped and distressed with filled knots in an engineered hardwood to deliver a rustic feel of a floor you would find in a barn conversion and comes with a Lifetime Structural Guarantee. Handscraped-Distressed Wide-Board Hardwax-Oiled Bevelled Rustic Grade Solid 4mm Oak Wear Layer 15mm x 240mm x 2200mm 2.64m2 coverage per pack .. The COTS068 Rustic Meadow Oak Hard-Waxed Oiled Hand-Scraped and Distressed, this European Oak board is a very distinctive with an extra wide 240mm plank where each plank is hand finished by skilled craftsmen using traditional hand tools to create both a hand-scraped and distressed then hard waxed oiled finished for great texture to give a unique presence of a floor that has been in situ from a bygone in a 15mm thick board. 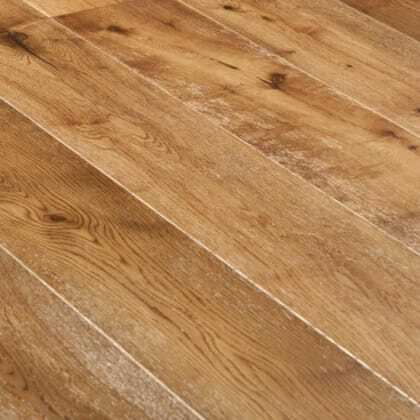 The Rustic Meadow Oak is a mix of rustic and modern in appearance with a deep brushed grain in natural oak, each individual plank is handscraped and distressed with filled knots in an engineered hardwood to deliver a rustic feel of a floor you would find in a barn conversion and comes with a Lifetime Structural Guarantee. 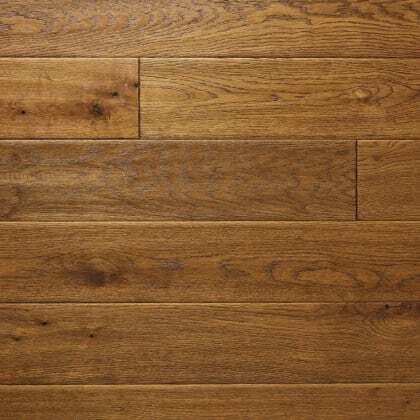 Handscraped-Distressed Wide-Board Hardwax-Oiled Stained Bevelled Rustic Grade Solid 4mm Oak Wear Layer 15mm x 240mm x 2200mm 2.64m2 coverage per pack .. The COTS063 Windsor Oak Heavy Distressed Brushed Oiled is a very distinctive with a signature 290mm wide plank and featured random oak butterfly knots finish in extreme heavy brushed oiled finished for great texture to give a unique presence of a floor that has been in situ from a bygone in a 22mm thick board. The Windsor is natural in appearance with a deep brushed grain in natural oak, each individual plank is hand finished with filled knots and split boards joined with butterfly knots in an engineered hardwood to deliver a truely rustic feel of a floor you would find in a barn conversion and comes with a Lifetime Structural Guarantee. 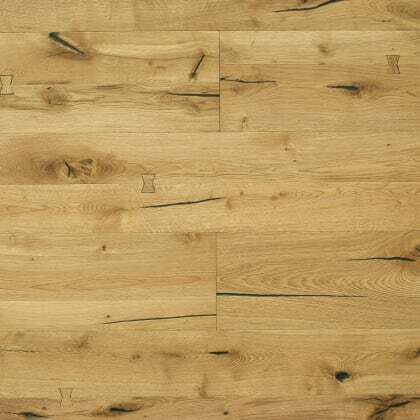 Distressed, Aged, Wide-Board Brushed-Oiled Bevelled Natural Grade Solid 6mm Oak Wear Layer 22mm x 290mm x 2130mm 2.471m2 coverage per pack ..